Richard Littlejohn dissects here, in gruesomely funny detail, what happened to Great Britain since Tony Blair became Middle East envoy and multi-millionaire on the lecture circuit. He also takes a brief but scathing look at the uncomfortable new pairing of Lib Dem and Conservative as we move forward to a new dawn of austerity. If you prize free expression, this book is essential reading. 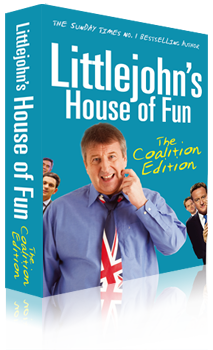 Copyright © 2011 Richard Littlejohn. All rights reserved.